Cools and heats in a single chamber. We are continuously developing our dry cabinets to perfectly meet all customer requirements. These are high-tech category products, and over 40% of our cabinets are custom-made solutions. Our price/performance ratio is unmatchable. 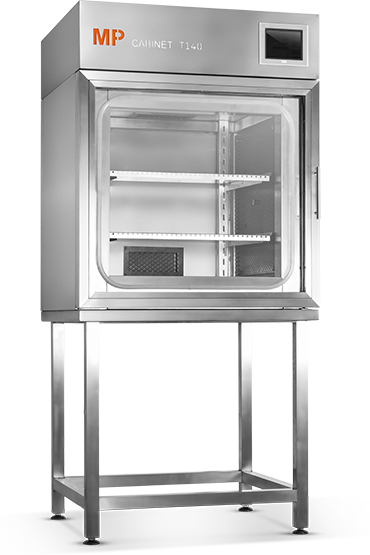 Our equipment can even cool and heat in a single chamber. As if this were not enough, it is also ready for Industry 4.0. This means that components and processes can be monitored, and intelligent cabinet access management can be employed (RFID). 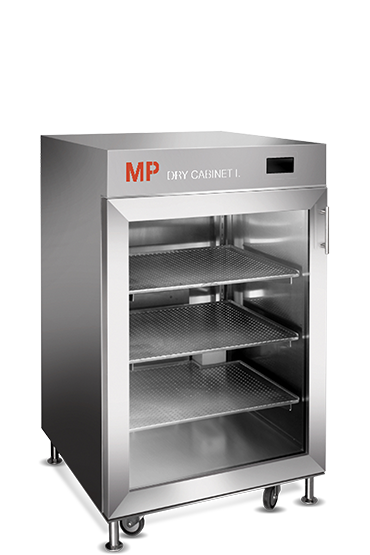 We can produce dry cabinets precisely according to your requirements. Take a look at some examples and let us know what you need. Our standard dry cabinets stand out thanks to their fantastic price/performance ratio. They have been developed based on our customer requirements and are available in several versions. Specifically designed for PCB conformal coating applications, the T140 offers an advanced lacquer curing solution. With heating up to 140°C, the T140 ensures quick and reliable results with a build quality never seen before. Our software tools bring full support for Industry 4.0. application. Automation, remote communication, data exchange between individual production line components, and data emailed directly from the equipment. And, most importantly, significant time and labour savings.